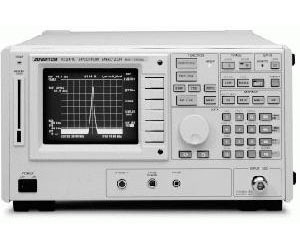 The R3261/3361 Series are compact and lightweight spectrum analyzers which use a synthesized technique to cover wide frequency bands: 9 kHz to 2.6 GHz (R3261C/3261CN/3361C/ 3361CN) or 9 kHz to 3.6 GHz (R3261D/3361D). ADVANTEST’s long experience in RF technology and software calibration technology have enabled a total level accuracy of 1 dB. These compact analyzers also offer high performance functions such as a central frequency with a 1 Hz resolution, start/ stop frequency setting and an internal frequency counter with a 1 Hz resolution.